S&S Cycle EC Approved Stealth Air Cleaner Kit for EFI XL 1200. 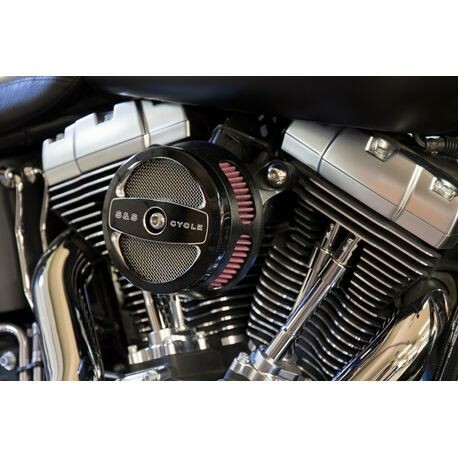 Increased filter area, combined with an air horn like radiused inlet and unique S&S® stinger cone to allow smoother faster air flow. This kit does not include an air cleaner cover. Can be run without a cover or for a sleeper look, a stock 1999-later big twin air cleaner cover may be used. 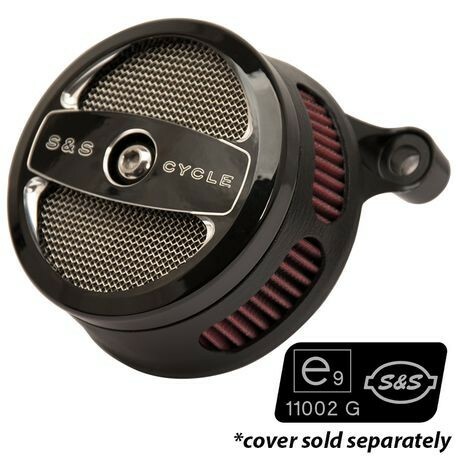 For a little more style and a high performance look, S&S® offers a number of good looking covers.